In the Martin & Sylvia: More Adventures! story, “Projects”, everyone wakes up one morning with a separate project in mind. Daddy wants to build a compost bin. Momma wants to paint the dining room chairs. Sylvia wants to build a fairy cottage. And Martin has an invention idea. Each needs help, but no one feels they have space to offer any. What to do? While the parent in me sympathizes with Momma and Daddy's projects—and Martin's invention sounds so cool—given the choice, I would jump right in and help Sylvia with her wee fairy cottage in the tomato plants. 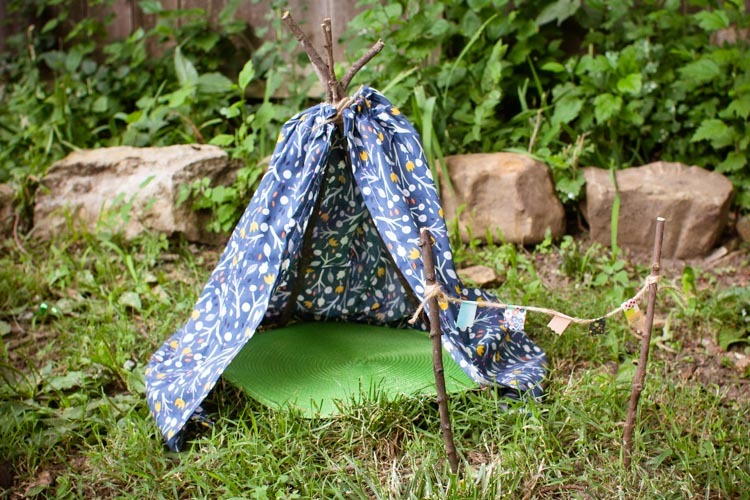 Or—since it's high summer camping season—perhaps I'd forgo a more formal cottage and make this fairy teepee, instead. 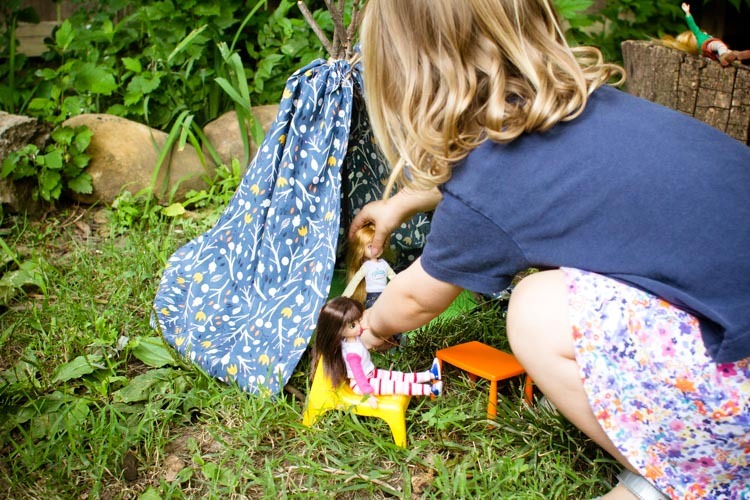 This sweet teepee makes a perfect getaway for any local fairies (or favorite dolls) who need a special spot to relax in the great outdoors. While I've given you the measurements I used for the sticks and fabrics, they're just guidelines. If you've stashed a perfect piece of fabric that's a bit shorter than 2/3 of a yard, just use shorter sticks; if your resident fairies are exceptionally tall, increase the lengths accordingly. That being said, you simply must make the little washi tape flag banner to hang out front. OK, I suppose you don't have to, but it's such a welcoming touch that it will have garden fairies flocking to your teepee in no time! Beginning with a length of twine that's several feet long, tie two of the longer sticks together near the top. When those are secure, attach another stick to make your teepee frame. Tie the remaining two long sticks to the others in a similar manner, wiggling and adjusting them until the teepee frame will stand upright. 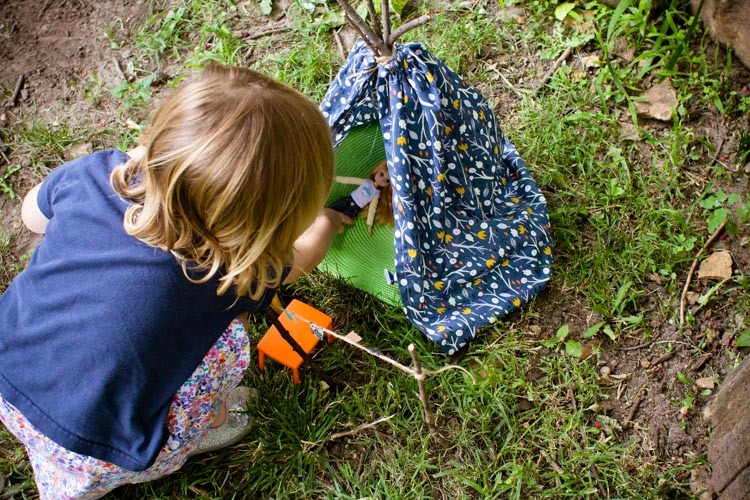 Finish the teepee frame with a few extra wraps of twine, and tie tightly to lock the sticks in place. Now turn your attention to the fabric. 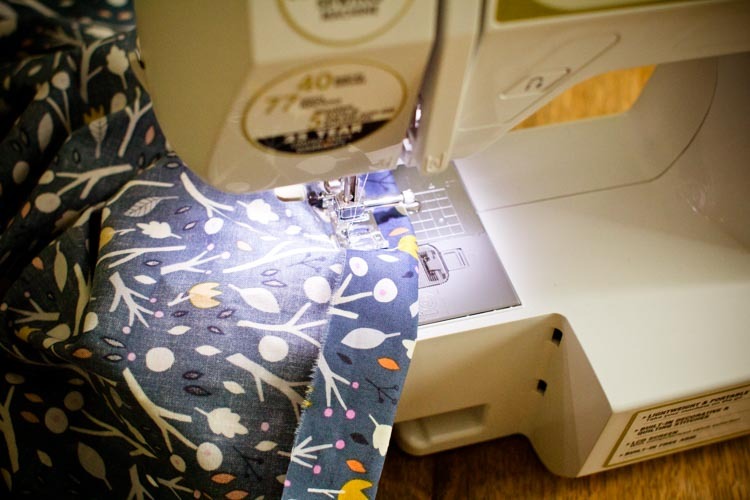 Stitch about a half-inch hem (the measurement isn't critical, so feel free to eyeball it) along one long side and both short sides of the fabric. 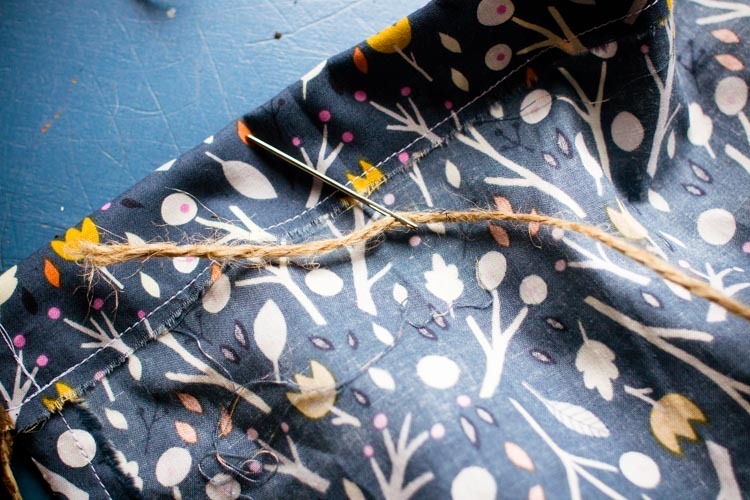 Then stitch a wider hem (an inch or so) along the remaining long side, to make a channel. 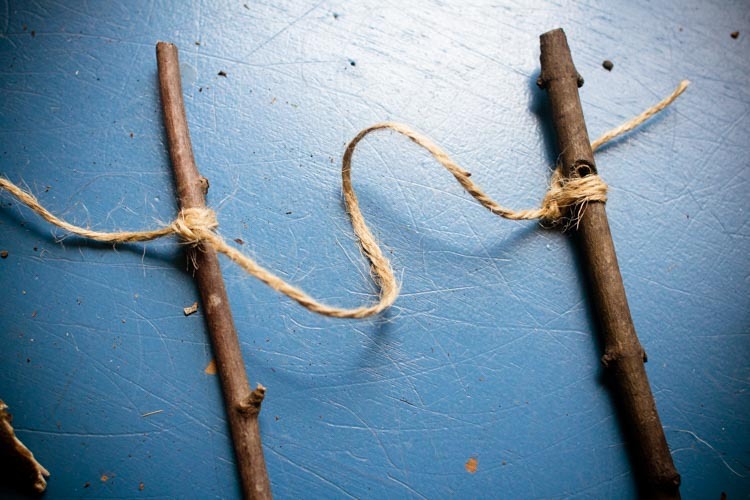 Cut another length of twine, and use the yarn needle or safety pin to thread it through the channel you just made. 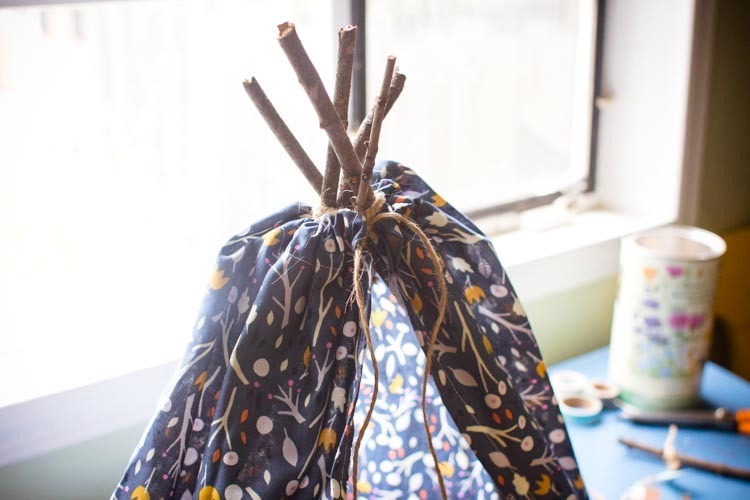 Lay the fabric on top of your teepee frame with the threaded, long side at the top. Cinch the twine and fabric tightly around the top of the sticks and tie it off, then adjust the fabric so that it lays nicely over the frame. Now it's time to make the flag banner. 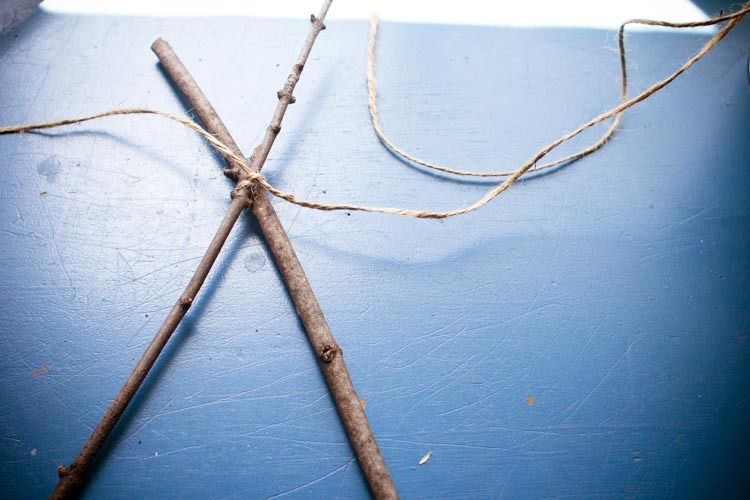 To do so, cut a 9-inch length of twine, and tie each end near the top of one of the shorter sticks. 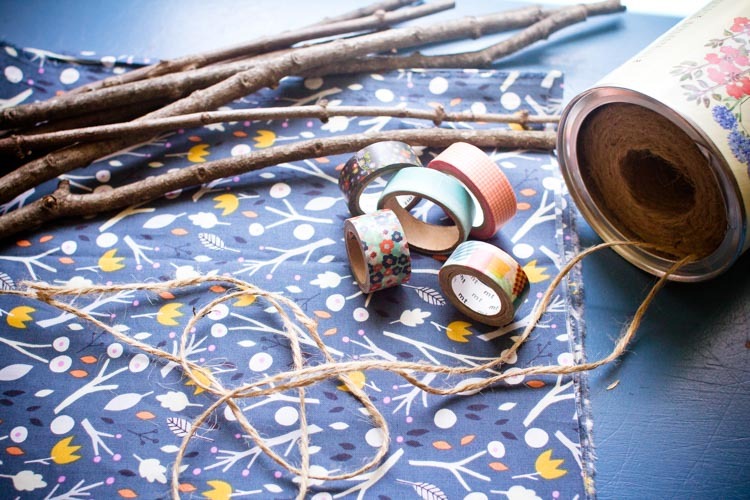 Fold pieces of washi tape over the twine to make the flags, and use scissors to trim them up. 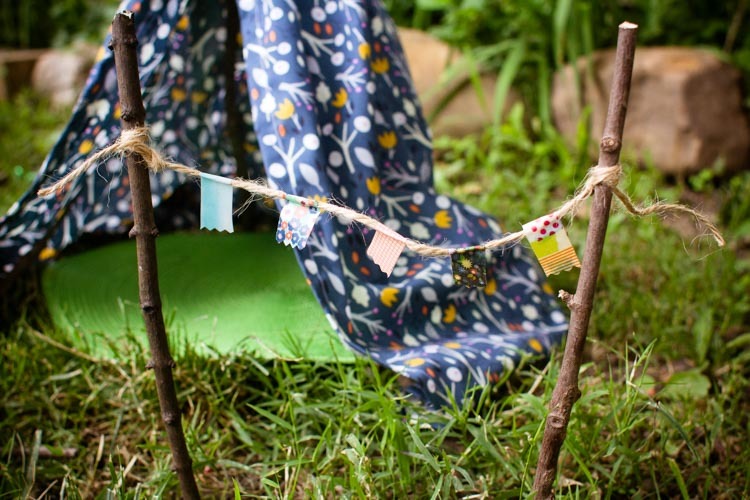 Last, pop your teepee up in a lovely spot, plant the flag banner in front, and keep your eyes open for signs of fairies roasting marshmallows around the campfire.